Interested in volunteering at the library? The St. Tammany Parish Library utilizes teen volunteers on a year round basis with different volunteer programs: the Teen Volunteer Council (TVC), One Time Volunteers, and the Teen Summer Reading Volunteers. Teen volunteers must have completed 7th grade and will volunteer in a one to two hour shift up to twice a week or as required. A completed Volunteer Application for Teens must also be handed in at the library..
WHO: The TVC is open to St. Tammany Parish teens currently in 8th - 12th grade. WHAT: The Teen Volunteer Council is a group of enthusiastic, motivated, and creative teens which collaborates with the teen librarian in planning library programs and other special projects throughout the year. WHY: The St. Tammany Parish Library Teen Volunteer Council is a way for local teens to gain service hours, help shape how the library serves teens, be the liaison to their school, and get to be an active participant in library activities. WHEN/WHERE: TVC meets at least twice/month at the Slidell and Madisonville branches for 2 hours. Check the event page for upcoming dates. 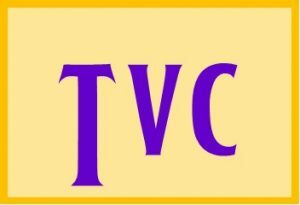 HOW: Please complete a TVC application and return to Slidell or Madisonville branch by the first of the month. The Volunteer Coordinator from that branch will contact you. This option is available for teens who have completed 7th grade who have been assigned volunteer hours (approx.1 - 10 hours) by their school/church/organization. Teen Volunteer Days are scheduled monthly for this purpose. Registration is required for these events and teens may sign up for the Teen Volunteer Day at the branch of their choice on the Events Calendar. A completed Volunteer Application for Teens must be brought to Volunteer Supervisor the day of the scheduled event. This opportunity is limited as space is very restricted and subject to change. Please contact your Teen Librarian for additional details. WHO: The Teen Summer Reading Volunteer Program is open to teens who are entering 8th - 12th grades. WHAT: Teen Volunteers play an important role in the Youth Services Department of the St. Tammany Parish Library assisting with the implementation of the Annual Summer Reading Challenge, and with the new Book Buddies program, where children are teamed with a trained Summer Reading Teen Volunteer to read together in Children's area of the Library..
WHY: The St. Tammany Parish Library Teen Summer Reading Volunteer Program is a way for local teens to gain job experience, meet new people, gain service hours and valuable knowledge that will help with their schoolwork. WHERE: Teen Volunteers are trained for routine, recurring tasks and/or occasional special events at the Causeway, Covington, Madisonville, Mandeville, and Slidell, and South Slidell Branches. WHEN: Teens are required to volunteer for at least three weeks (need not be consecutive) between the first day of summer reading in May, and the middle of July. Teens can sign up for 2-hour shifts up to three times a week or as needed. HOW: For the Summer Volunteer program, please complete the Volunteer Application and return to the branch where you wish to fulfill your hours by the first Saturday in May. Approved Volunteers will be contacted by the third Saturday in May by the Volunteer Coordinator from that branch and will be registered to attend a mandatory volunteer orientation training session prior to being scheduled to work. Parents of first-time volunteers are requested to attend the first 20-minutes of the orientation. Positions are limited and applicants may be placed on a waiting list.